Mrs. Patricia Echols Liggon, 70, of Chase City, VA entered eternal rest Monday, December 3, 2018 at The Hundley Center, South Hill, VA.
Mrs. Liggon was born in Pittsylvania County, VA September 15, 1948 to the late Clarence D. and Gladys Kissee Echols. 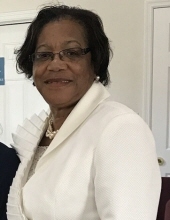 She was a 1966 graduate of Southside High School and a member of Faith Baptist Church, South Hill, VA. She was employed as a bookkeeper for Webster Plumbing Supply for many years, and was last employed as a substitute teacher and driver for Mecklenburg County Public Schools. Cherishing her memories are her husband, Rev. Dr. Garland B. Liggon, Sr. of Chase City, VA; son, Garland B. Liggon, Jr. of Red Oak, VA; daughter, Dana Taylor of Richmond, VA; two grandchildren, Amber and Christopher Taylor; one great-granddaughter, Aliyah Hazel; her sister, Sandra McLaughlin of Chatham, VA; brothers, Clarence Echols (Magertha) of Danville, VA and Lafayette Echols of Dry Fork, VA; one uncle; four brothers-in-law, three sisters-in-law, her Faith Baptist Church family, and a vast number of other loving relatives and caring friends. Funeral services will be conducted 12:00 Noon Saturday, December 8, 2018 at Silone Baptist Church, Chase City, VA with Rev. Dr. Garland B. Liggon, Sr. delivering the eulogy. Burial will follow in Silone Memorial Garden, Chase City, VA. Public viewing for family and friends will be Friday from 10:00 AM until 7:00 PM, with the family receiving friends from 6 until 7 PM. To plant a tree in memory of Patricia Liggon, please visit our Tribute Store. "Email Address" would like to share the life celebration of Patricia Liggon. Click on the "link" to go to share a favorite memory or leave a condolence message for the family.